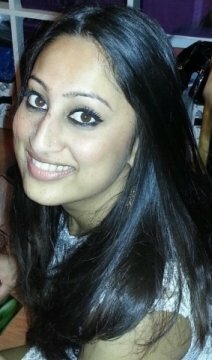 I am a friendly engaging tutor with 10 years of tutoring experience.I am a doctor with an MBBS from Imperial College London and a 2.1 degree in Biomedical Science from Aston University. I have tutored one to one biology for GCSE and A Level students for 8 years and have spent 10 years tutoring children of primary school age and secondary school students aged 11-14. I have worked part time at a tuition centre for two years, teaching both groups and one to one lessons for ages ranging from 6 to 18 in the fields of Science, Maths and English. Additionally, I have taught many revision sessions for very large groups in the run up to exams, covering essential aspects of the syllabus. My tutoring style varies greatly between age groups. With younger children, I prefer the use of examples, starting with easier questions and building up to more difficult ones. I feel that this method is an effective means of interacting with the student and understanding his/ her ability. With older students, I always prefer to let the student dictate how he/she would like to learn and adapt my teaching style to their learning. For all levels, it is important to summarise at the end of each session and provide questions to help apply knowledge. Nish is a wonderful tutor for our son. She keeps the lessons lighthearted and informative and teaches our son at a level that he is comfortable with, though she does challenge him and tests his knowledge each week. I would recommend Nish without hesitation. Thank you for your kind words! Yasamin and I love tutoring Lucas, it's great thinking of dynamic ways to tutor. My daughter has been tutored by Nishalini for a few weeks and is very happy with her style of teaching. Her progress has been excellent and I would highly recommend her.